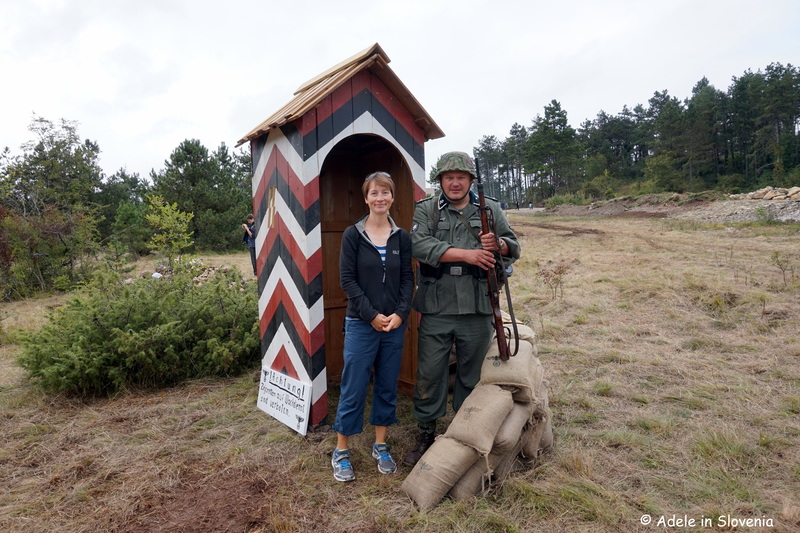 The Pivka Park of Military History – A Historic Year! 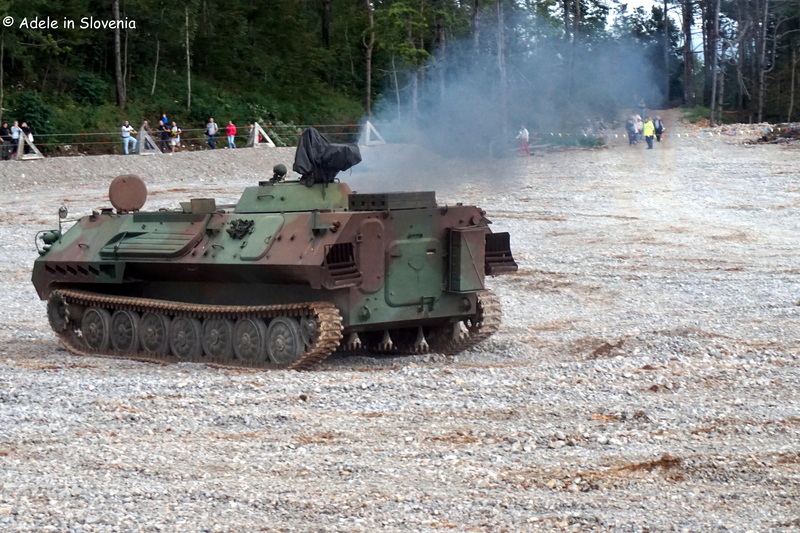 It’s been quite a year thus far for the Park of Military History in Pivka. Visitor numbers are up by an astonishing 40%, as word spreads about this fascinating museum and its extensive and diverse collections. Last week the park celebrated its 10th birthday – in true military style of course – with a week of events culminating in the annual Festival of Military History, which I attended on Sunday. It’s easy to reach Pivka, which is in Slovenia’s Green Karst region. It can be a destination in itself, or you can combine it with a visit to one of the other nearby attractions in the area, such as the Postojna Caves, Predjama Castle or the Lipica Stud Farm. The park is also an ideal place to visit on those pesky rainy days! 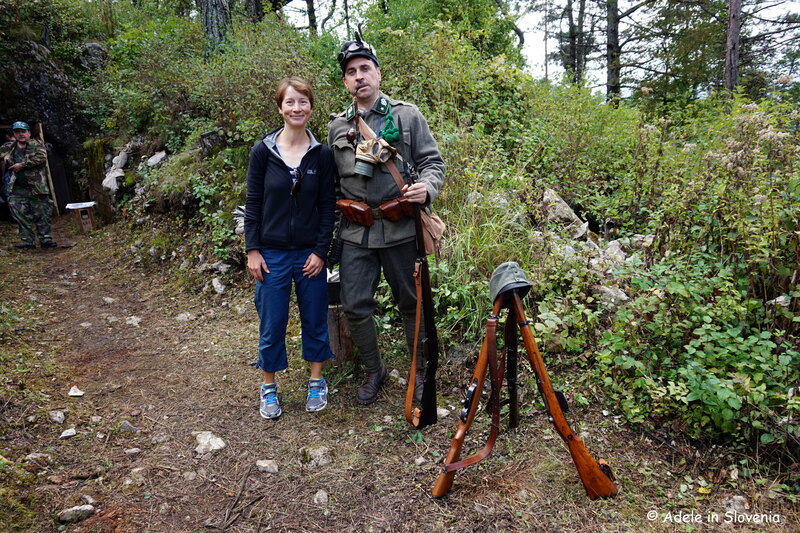 For those without transport, a bonus is that it is easy to reach Pivka by train. Direct trains run from Slovenia’s capital, Ljubljana and onwards toward Rijeka in Croatia. On arrival you can already see the imposing renovated barracks in which the museum is housed. 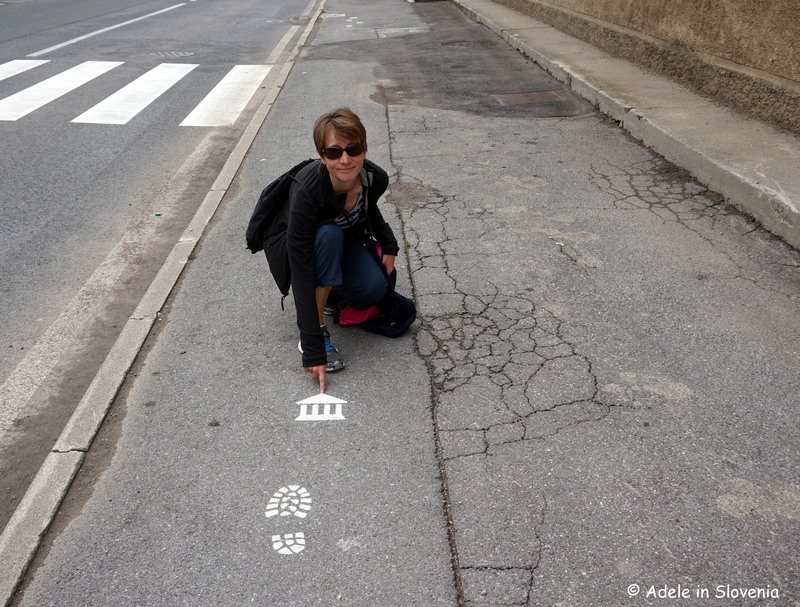 When exiting the train station, just look for the museum symbols marked on the pavement. After crossing the tracks, head downhill, following the green signs, and within 10 minutes you are there! 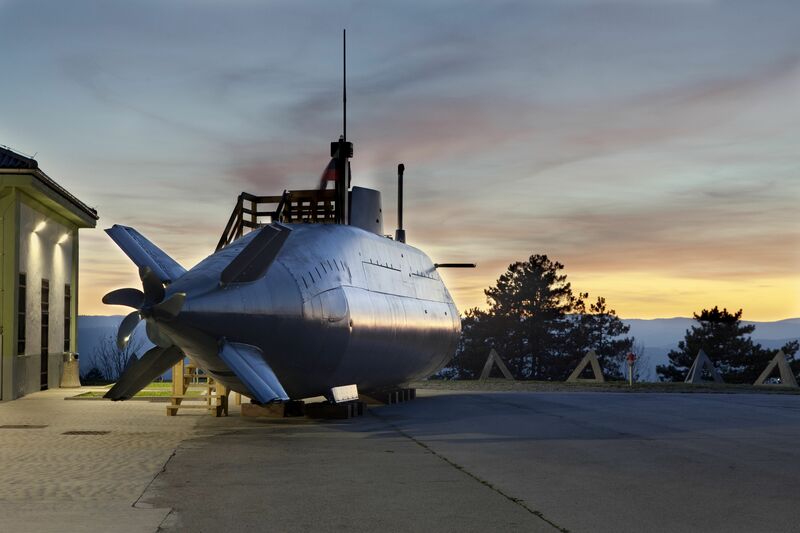 One of the biggest draws at the Park is undoubtedly the P-913 Zeta submarine, which visitors have a chance to go inside, accompanied by a guide, to experience the cramped conditions the submarine crew worked under. 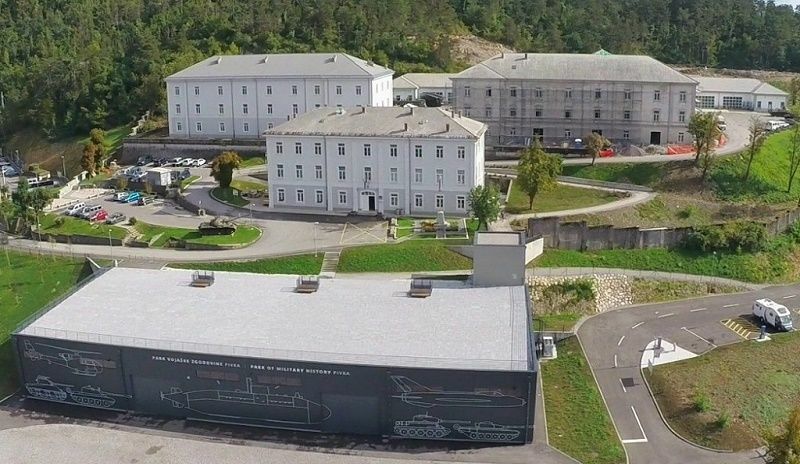 The renovated barracks housing the museum collections were built by the Kingdom of Italy around 1930 in order to defend the Rapallo border and were later home to the Yugoslav People’s Army. Since 2004 the Park has been developing and has now become the largest museum complex in Slovenia, as well as one of the largest military historical complexes in this part of Europe. 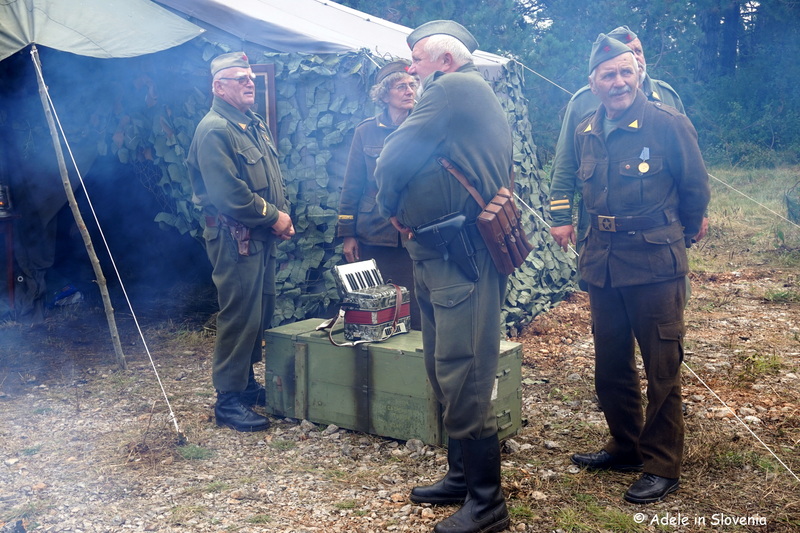 Of the numerous military-related events that take place at the Park throughout the year, last weekend’s 10th Festival of Military History, which was meticulously organised, is the largest. Below you can see some of the action that took place. Demonstrations of tanks operating in combat situations. 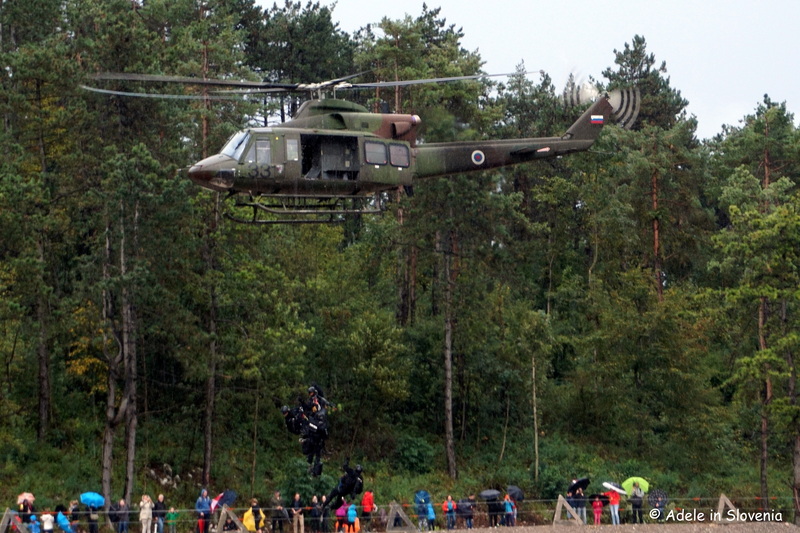 A dynamic display of anti-terrorist measures with the helicopters of the Special Forces and the Slovene Army. Recreations of various World War II military camps – Partisan, Soviet, American, and German. At times I felt like I had walked onto the set of MASH! 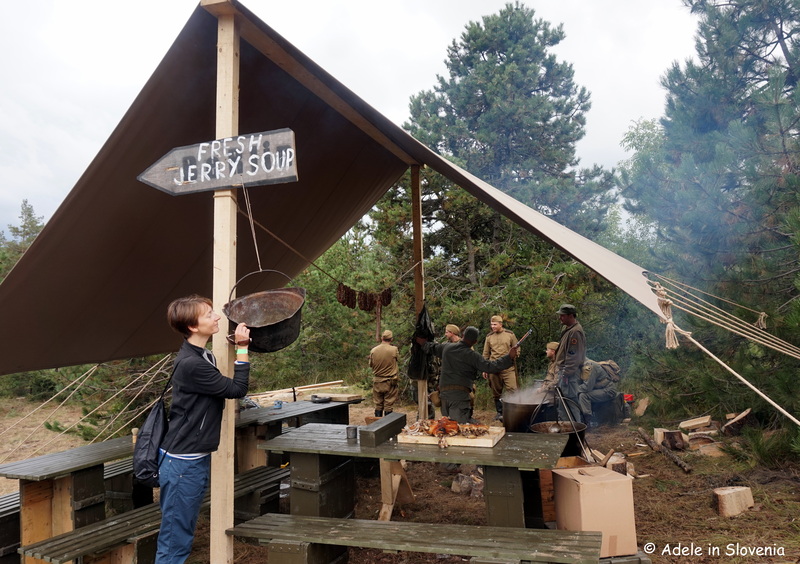 There was even fresh Jerry soup! A chance to walk through a cavern. Provided, of course, you could get past the guards! There was plenty of opportunity to get involved, ask questions, and, of course, pose for a few snaps for posterity! 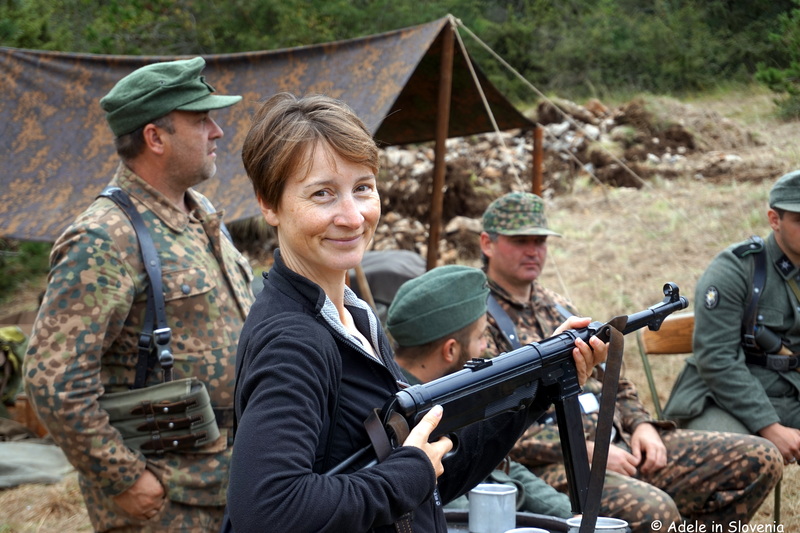 A chance to get ‘hands on’ with the ammunition. The first, and hopefully only, time I will be holding such a weapon! 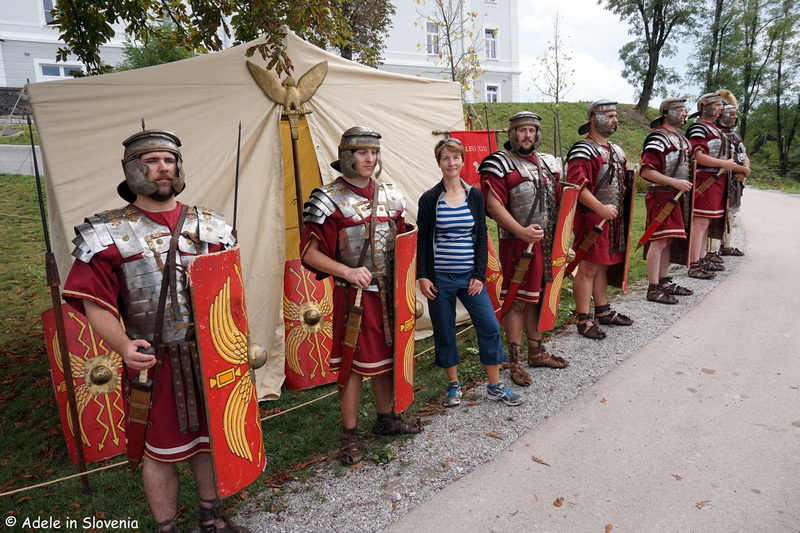 Not even the occasional torrential downpour dampened the spirits of these strapping Romans (from Ptuj)! Can you spot the odd one out? There was also archery, a small market area, a collection of old-timer cars, and free transport to/from the railway station. The festival was a roaring success and another testament to the Park’s popularity. You don’t need to especially be a lover of museums, history, or military history (I wouldn’t consider myself to be!) to enjoy a visit. The exhibits are fascinating and there’s something for all the family. I highly recommend a visit!